If you are looking to review your existing perimeter security systems, look no further than Automation & Security. They have been supplying, delivering, installing and maintaining electric gates, barriers and bollards for the last 20 years. 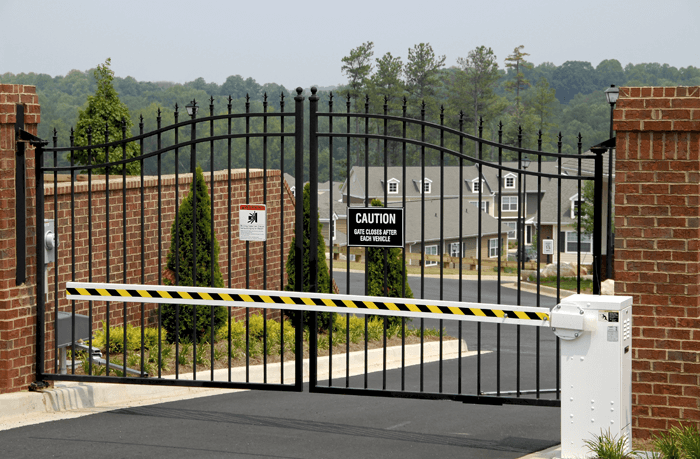 Automated electric gates are a speciality of Automation & Security. Working with the leading manufacturers they can provide a solution to your specific needs in Morpeth. All of their gates are built with the aesthetics of your property in mind as the entrance should be a compliment to your existing premises. Whether it’s cantilever, swing or sliding gates, get in touch now. Manual or automatic arm barriers are a great way both manage traffic flow and stop “unauthorised access” to your premises. Automatic arm barriers can work to allow only those with key fobs or cards to enter the premises, allowing secure or sensitive areas of your property to be only accessed by those who are allowed to be there. Bollards are a great in areas such as golf club, exhibition centres, shopping centres or hotels, where you wish prevent certain areas of your premises from being accessed from vehicles. These can come in either static, fixed or retractable solutions to allow emergency access. Access Control adds an extra dimension to your security systems. Reducing manpower by allowing remote access to your premises. Access control works either standalone or by working with your existing employee database to allow only those with access to your premises or property. These can be defined by levels of access and easily installed and updated. For those after a more robust security product, or for those premises at risk of ram raid, they recommend their range of anti-terrorism products. These come as PAS 68 as standard and can withstand impact at even high speeds. For those looking for protecting from the devastating effects of flood damage they recommend their range of flood defence gates.